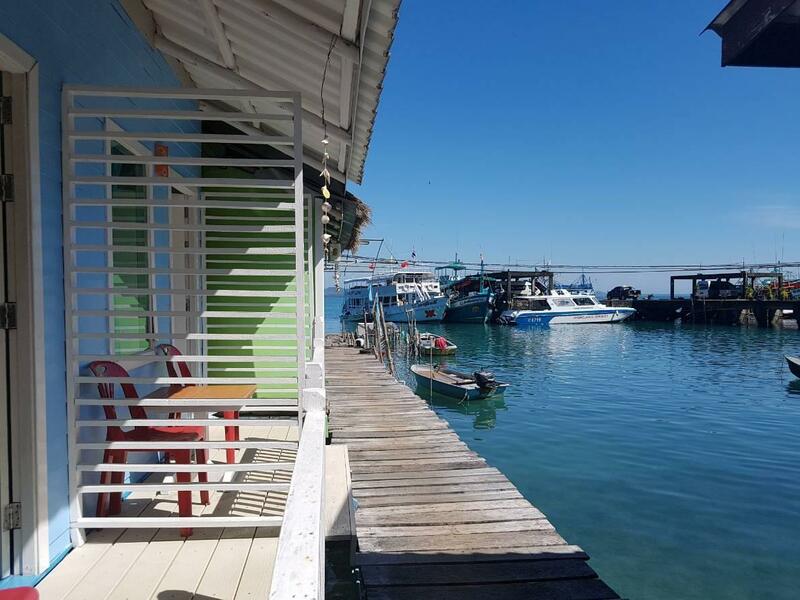 This property is located in a beautiful fisherman's village, away from stores bars and restaurants. The little rooms are clean and quiet. If you are looking for partying look somewhere else. 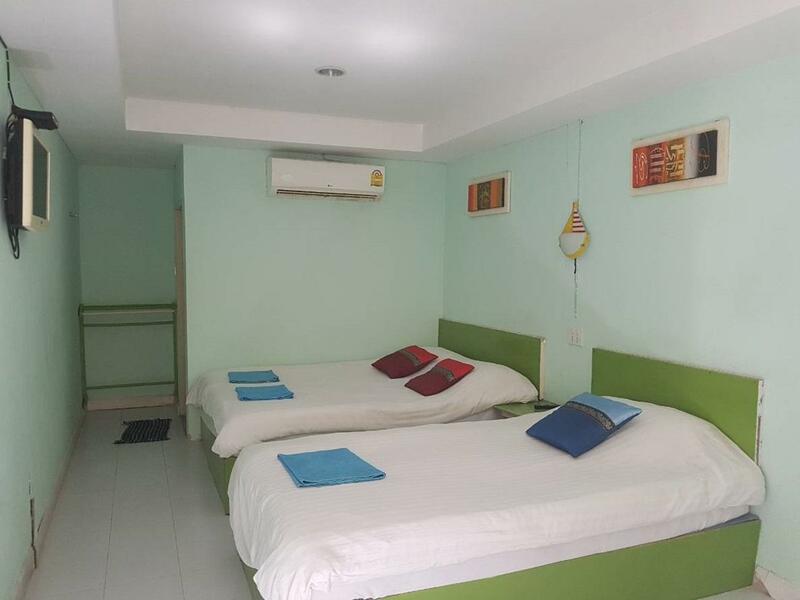 If you just came from the ferry and need a good night sleep with air conditioning and hot shower you are going to love this hidden treasure. Great value for your money. The reception guy just don't care - his only business is to play a game on a smartphone. Very uncozy rooms, holly and spoty sheets. Smelly aircon, fridge doesn't work actually. Location, like someone here said, "in the middle of nowhere". Very bad facilities - broken bed, could hear the neighbors every move and sound and some sort of animal in the roof making noise all night. We only saw a member of staff twice when checking in and then out but otherwise had to fend for ourselves. Very unimpressed with this accommodation and sad I spent my money there. Everything was fully booked for Xmas so we had no other choice to book this hotel. The location is good as it is not far from ferry boat but on the wrong side of the island as all the beaches are the other way around... But if you drive a scooter it is very easy to go around. I would not recommend this hotel for children as the room are literally on water with no security barrier. The boss is very helpful, though his English is not good. 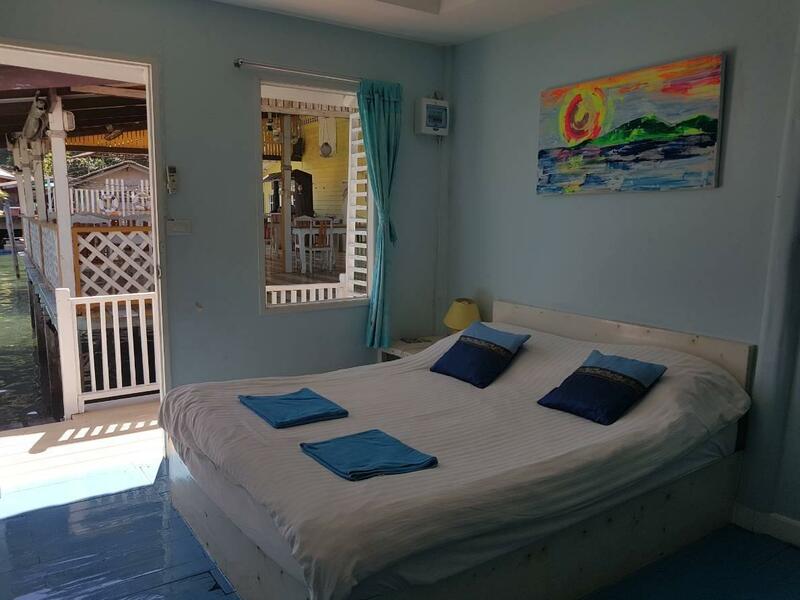 we changed our trip plan temporarily and have nowhere to stay at first night in Koh Chang, he helped us get a room in a bungalow, which is very nice place with passionate host too. The resort is well painted, warm, comfortable and funny, close to pier. Will highly recommend it to my friends. nice little out of the way hotel. there are 3 or 4 bungalows right over the water and the rest are on land. my boyfriend and i stayed in one of the rooms that are over the water. it was definitely a unique experience for us. you can hear the ocean underneath you as you go to sleep. the receptionist mistakenly gave us a room with two beds in it rather than one bed, which was fine with us. the receptionist is a very nice kid, and understands english rather well. the restaurant has a gorgeous view of the ocean and the jungles on the island. the food isn't that good... i'd rate it 5/10, but the staff is nice and the service was top notch. the only real con about this place is that its not close to the beaches. the hotel does offer a free round trip taxi to white sand beach, though, which is nice, but if you want to go out at night then you need to either rent a motorbike or pay for a taxi, because they wont drive you out there past like 5pm. (i don't recommend driving yourself into town at night... the road is dangerous! its very steep and winding. if you aren't an experienced motorcyclist you will probably seriously injure yourself.) one other thing... you might get woken up in the middle of the night by monkeys jumping and screaming on top of your hut... the first night we were there these monkeys did just that and woke us up at like 3am. the koh chang fasai resort was a pleasant stay for us. the rooms were spacious and very clean, the bed was comfortable. the bathroom was clean and there was a nice drying rack for our wet beach stuff. our room's balcony was very small and not private, but we didn't mind because it was a cheap budget hotel and we didn't hang out at the hotel much anyways. they have kayaks to use for free. the area is very good for kayaking, very secluded with calm clear waters in the bay to the left of the hotel. staff were friendly, and even informed us of the good seafood restaurant nearby. thought this was nice of them because they do have their own restaurant as well. 2 cons: 1) balconies aren't very private, and 2) this hotel is kind of out of the way from all the action. this may not be considered a con for some people, as the hotel is in a nice and quiet area if that's what you're looking for. no beaches to really lay out on except for the one you can kayak to. no 7-11 nearby either, have to go back over the hill. but for less than, this was one of the best budget hotels i've stayed at in southeast asia. most of the rooms are actually on the water - about 4 feet deep at high tide. Yes, you do need transport of some kind, but the price here is so low - it paid for our jeep. Because on the water, get no mozzies, cool without a/c on - but new a/c anyway. Relaxing sound of the gentle waves. The best value for money place this holiday. Well done to the designers and hosts. Thanks. very nice and clean hotel just next to the ferry at ao saparodt. dont get scared of the location its lovely and if u like to go to the main beach a taxi is provided for u with no charge. they also offer cheap laundry and will rent you a motorbike of your choice and bring it to you. prices in the restaurant is good and the relaxing time at breakfast in the morning is lovely. The place was wonderful. Very friendly and knowledgeable owners. They helped me out with bike rental and everything. Very happy I stayed there! Ave food next door, no english. Wifi unreliable. Middle of nowhere. No bike rental. Dogs barking at night. Roosters going all night in cages near rooms. One only non-thai tv channel pressTV - a biased propaganda station from Iran but based in London. Tv mounted so cannot reach USB. 50l trash bucket of water in bathroom so no room under shower! Traditional poor thai practice but why here among western amenities? Not needed. Years of. Travel in asia and this is the worst value for money I've encountered. 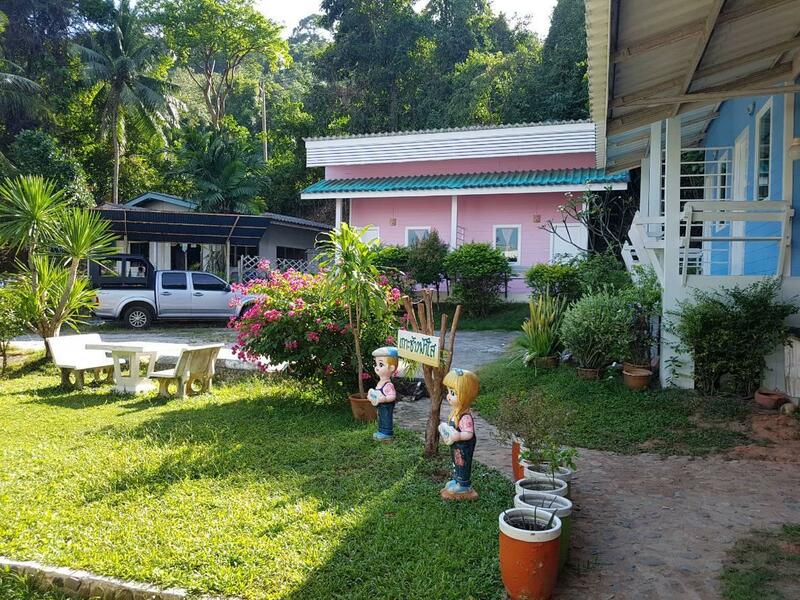 Booking sites may have not much left at short notice over holidays but in Thailand there's no need to freak out and book a dodgy place like this. Found a better place down the road for a third of the price.